We are pleased to announce the July updates of Azure Data Lake Tools for VSCode. This is a quality milestone and we added local debug capability for C# code behind for window users, refined Azure Data Lake (ADLA & ADLS) integration experiences, and focused on refactoring the components and fixing bugs. Azure Data Lake Tools for VSCode is an extension for developing U-SQL projects against Microsoft Azure Data Lake! This extension provides you a cross-platform, light-weight, and keyboard-focused authoring experience for U-SQL while maintaining a rich set of development functions. This update allows you to perform local run to test your local data. Execute your script locally before publishing your production ready code to ADLA. Use command ADL: Start Local Run Service to start local run service. The cmd console shows up. For first time users, enter 3 and set up your data root. Use command ADL: Submit Job to submit your job to your local account. 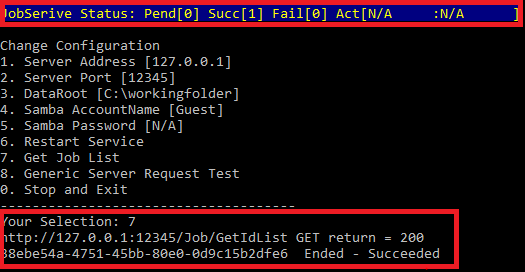 After job submission, you can view the submission details by clicking jobUrl in the output window, or view the job submission status from the CMD console. Local Debug enables you to debug your C# code behind, step through the code, and validate your script locally before submitting to ADLA. Use command ADL: Start Local Run Service to start local run service and set a breakpoint in your code behind, then click command ADL: Local Debug to start local debug service. You can debug through the debug console and view parameter, variable, and call stack information. Register assemblies through configuration provides you more flexibility to register your dependency and upload your resources. Use command ADL: Register Assembly through Configuration to register your assembly, register the assembly dependencies, and upload resources through a simple configuration. Upload file through configuration boosts your productivity and offers you the capability to upload multiple files at the same time. Use command ADL: Upload File through Configuration to upload multiple files through a simple configuration. First, install Visual Studio Code and download the prerequisite files including JRE 1.8.x, Mono 4.2.x (Linux and Mac), and .Net Core (Linux and Mac). Then get the latest ADL Tools by going to the VSCode Extension repository or VSCode Marketplace and searching “Azure Data Lake Tools for VSCode”. Get more information on using Data Lake Tools for VSCode. Watch the ADL Tools for VSCode User instructions video. Learn more about how to get started on Data Lake Analytics. Learn how to Develop U-SQL assemblies for Azure Data Lake Analytics jobs.